These past few weeks have been such an “eye opener” for me. Its amazing what a dose of pure truth can do for one’s life. It’s also so amazing how so many people can have walked the face of the Earth for hundreds of thousands of years with the doors of pure power and greatness wide open for them, yet they’re unable to enter because of what they don’t know, about themselves and life… And they have NO IDEA what they don’t know [Pause] … Now that’s deep. I write this post from a place of gratitude. From this place I am beyond thankful for all that life has brought my way, the greatness and especially the difficulties. I am thankful for the great philosophers that have come before us to help guide us in the direction of our power; those who have sacrificed their lives and freedom to make sure that eventually mankind reaches it’s fullest potential, or close to it. I was lucky to learn at an extremely early age that every single experience in life is nothing short of a lesson in this class called life. Either you look for the lesson to improve one’s self, or continue to go through life making the same choices that lead to misfortune, poverty, and self-destruction. I’m mostly thankful for the insane curiosity that I have of about life. I’ve probably been on what I like to call ” a quest for evolution” since the day I was born. I’ve always had a strong desire to understand the intangibles of life so that I could operate at my best state. My quest for spiritual gain has brought me full circle to a state of peace and understanding, and an undeniable awareness of the power that I possess… the potential for POWER that every human being that ever lived has. The road blocks that prevents one from their source of power typically present themselves when one decides that there is only ONE ABSOLUTE TRUTH in life (one way to live, one way to think, one way of doing something, one way to be…). The dangers of believing in absolute truth is that it shuts one off from the majority of mankind, and places them in a bubble. Belief in one absolute truth keeps those individuals stuck in a seemingly never-ending cycle because their desire to learn all but disappears (remember, they already have ALL of the answers to life in their possession, and that is their ABSOLUTE truth). We all know people like this, mostly because we all have been that person at some point. What I now know for sure is that when you become closed off from continuing to seek wisdom and knowledge from all that life has to offer, you shut yourself off from your source of power. Open-mindedness and understanding is the only means through which one can levitate to heights of power and prosperity that all GOD’s that ever existed intended for all mankind. Life is a never-ending education, when you stop learning and trying to understand, you stop living, or become the living dead. Its been almost three weeks since I’ve purchased this book, and believe it or not, I’m still reading it. But that’s a good thing. Each time I pick it up I come across sentences laced with concepts so powerful that I’m forced to give myself time to absorb them fully. The thing is, when I’m drawn to concepts which give me a strong sense of enligtenment, I like to give myself time to think about them; to take them in enough to see how they could be applied to my everyday life. I like to put myself to the test because I have a strong understanding that knowledge alone is not power… but applied knowledge IS. 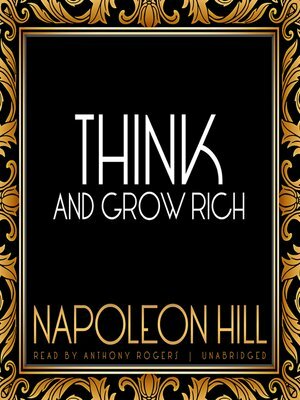 And so, thanks to Napoleon Hill, I am coming to fully understand “Power thinking and being.” I believe that none of us are ever really far off from reaching our fullest potential, we just have to be open to new ways of channeling our energy and focus so that we can make room for new ways of being. I must say that I am enjoying this part of my life because I have never felt so free to do and be all that I can imagine. In other words, those who are in a position of power or sucess have attained it through their association or alliance with others who are on the same frequency of success and power, and have come together in harmony to form an energy so great that it cannot be denied by anyone or anything, not even the Universe. This revelation is so profound that it pays wonders to be able to grasp and apply it.